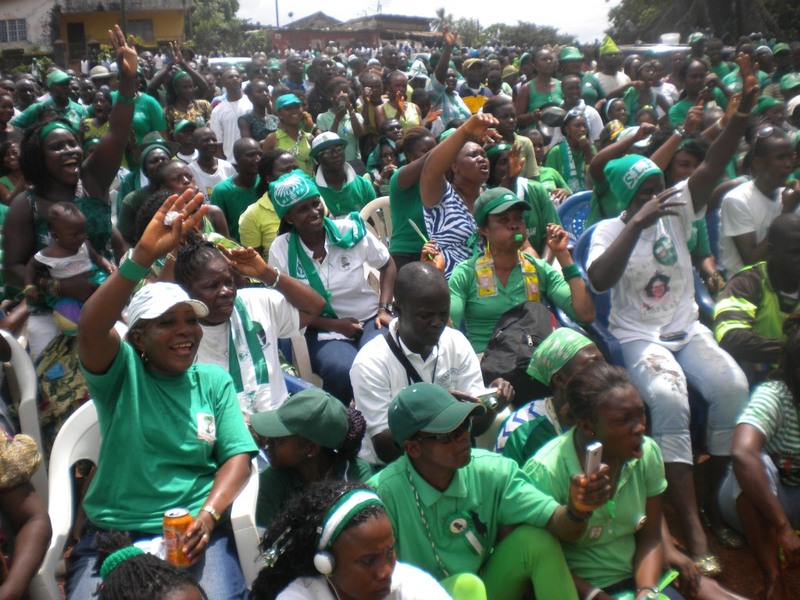 Has the SLPP started to regain lost electoral fortunes? HomeEditorialHas the SLPP started to regain lost electoral fortunes? 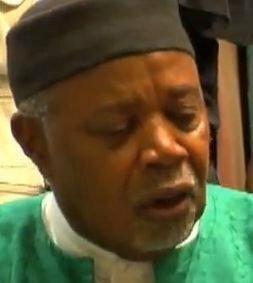 October 3, 2013 Abdul Rashid Thomas Editorial Comments Off on Has the SLPP started to regain lost electoral fortunes? Since losing the general and presidential elections in 2012, Sierra Leone’s main opposition party – the Sierra Leone Peoples Party (SLPP) has been struggling to regain its broken spirit, as internecine wars threatened to split the party. And after losing its Supreme Court battle against the ruling APC party, accused of serious electoral malpractice, things could not have been any worse for the grand old party of Sierra Leone. But the bitter and sometimes violent leadership struggle for the heart and soul of the party – a few months ago, was short lived as the party remarkably staged a successful convention, which saw the election of a northerner – Chief Somano Kapen as their party leader. And the test of his leadership and claims that the party is now beginning to cross the national north – south divide, came last week when the party contested its first major post 2012 by-elections in both Tonkolili and Kailahun districts. Is the grand old party now turning the corner? Since the provisional results of the by-elections held in both constituency 001 in Kailahun and Ward 229 in Tonkolili, many things have been said about the results with even percentages of vote share floated in the air. And just in case as you read this piece, you may not have seen the provisional results, here they are: Constituency 001 (Kailahun) – Patrick Foyah (SLPP) 11,114 (70%); Susan Bonah (APC) 4,856 (30%); and 888 void ballots. Ward 229 (Tonkolili) – Samuel Jalloh (APC) 1,508 (61%); Ansumana Turay (SLPP) 867 (35%). For obvious reasons supporters of the ruling APC would want to talk more about the Kailahun Parliamentary by-elections rather than the Tonkolili ward results. That is the politics of by-election results. When the provisional results for the Kailahun be-election became official, I received a text message from my APC friend, who strenuously tried to compare those results with the 2012 Parliamentary results for the same constituency, which were: SLPP 14,397 (69%) and APC 5,361 (26%). I guess my friend wanted to make the point that APC increased their percentage of the valid vote cast by 4% since 2012, even though the actual number of votes the APC received in 2012 as compared to 2013 decreased by more than 500. Assuming you are the chairman of a parent company (APC National body), you invest “x” amount of money in November in a subsidiary company (Constituency 001) and get 26% profits. Ten months on, driven by an appetite to massively increase that 26% profits, you again invest five times the “x” amount of money you invest in November and massively increase your workforce especially with other “big guns” from the parent company. Then when the results are announced there is only a slight increase of the profits from 26% to 30%, whilst at the same time more than 500 customers deserted your subsidiary business. If I were the chairman of that parent company, I would ask the managers of the subsidiary company and the “big guns” to give a thorough account of the huge sums of money invested. Let us put APC’s by-election results into political context. Here was a by-election in which APC poured huge financial resources, estimated at five times more than they did in 2012. As a governing party, the Paramount Chief and his section chiefs made no secret during the campaign that they had made a political promise to deliver the constituency to the ruling APC. This is the same APC which in 2012 won a parliamentary election in constituency 007 and five local council seats, so their political appetite has grown bigger and bigger. Yet, on the other hand, here is the SLPP with neither the financial resources nor local political influence of the chiefs. Worse still, the APC campaign deliberately played the gender card. They accused SLPP of not believing in women’s empowerment in politics – forgetting the fact that the SLPP was the first party to develop a gender policy, which aims at increasing women participation in politics. But by the time the women came out in their thousands for the last campaign rally, APC campaign managers must have realised that playing the gender card was like talking to a brick wall. When Maada Bio travelled to Kailahun to boost SLPP’s chances at the by-election, another APC friend said that: “SLPP is dying because even in their own stronghold, you guys had to call on your ‘tormentor'”. Well, I had to remind my friend that in February this year, in the Constituency 92 parliamentary elections, President Koroma had to physically take the hands of the APC candidate – Ibrahim Pateh Bah and walked him through the constituency from Regent to Waterloo. Yet, even with Pres. 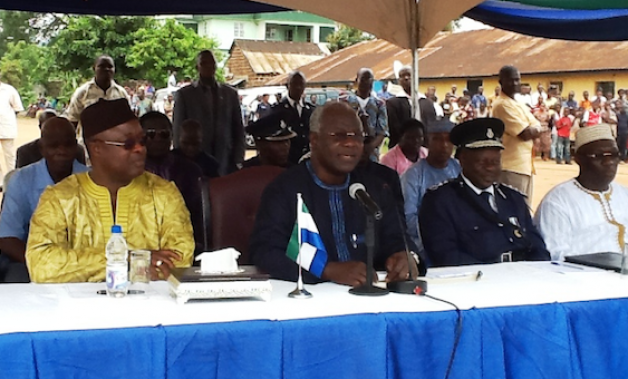 Koroma’s upfront campaigning only 24.7% of the 52,783 registered voters bothered to vote. The difference between Maada Bio and President Koroma is that while the latter is still the leader of the APC, the former had graciously relinquished his position as flagbearer of his party. Maada Bio left Sierra Leone on an official trip to Ghana a week before the Kailahun by-election, and from Ghana he was to proceed to the United Kingdom for another official engagement, including the UK governing Conservative Party Conference in Manchester. Yet whilst he was in Ghana, he was informed that the by-election campaign was becoming increasingly unpredictable, as our APC friends were pouring huge sums of money, whilst the local chiefs were exerting too much political influence to the disadvantage of the SLPP. Hence Maada Bio aborted both his official engagements in Ghana and planned visit to the UK to return to Freetown. And in less than forty-eight hours, he was on the road to Kailahun. It is not simply about the millions of Leones financial contribution Maada Bio made to the campaign; his physical presence rallied the SLPP supporters, as well as supporters of the RUFP in the constituency who have made public declarations to join the SLPP. For me when I joined the SLPP years ago as a student, this was what the SLPP was all about: individual members making sacrifices and demonstrating commitment to the success of the party at great personal loss. Similarly, I have learnt there were some diaspora branches and SLPP groups who contributed; and many individuals including lawyer Prince Goba in London who mobilised the financial contributions, which led to the successful campaign and victory of the SLPP in constituency 001. So the lessons we can learn as a party is that, it is high-time we put our individual differences aside and work in the interest of our great party. (Photo: SLPP party chairman – Chief Kapen). These elections have given us an opportunity to show that our people may be poor, but the majority so far have refused to be bought. And for many grassroots members who never benefitted from this party throughout the party’s eleven years reign in governance, all they want to see is a united SLPP and a constructive opposition which echoes the aspirations of ordinary people in the country. For APC to secure such a number of votes in SLPP’s stronghold should be of concern, and I hope the district SLPP executive will reach out to those disaffected voters who for reasons other than money, may have switched support to APC. Also, whilst it is crucial to consolidate electoral victory in the party’s stronghold in the Southeast, the election result in Tonkolili should also encourage us that there are thousands of ordinary people who still believe in the values of the SLPP in the North. And we do know that if SLPP members in the North are free from political intimidation, their votes counted and ballot boxes properly managed during elections, then we can prove our critics wrong that the SLPP is not simply a “south-eastern” party. So the questions for the SLPP party going forwards into future elections will be: How does the SLPP protect and defend its members in the North from political intimidation and victimisation? How can the party better mobilise its members in the North to ensure as many as possible can vote at elections? How will SLPP polling agents ensure the ballot boxes are properly managed and the counting process strictly monitored? For instance in the recent ward 229 elections, whilst the total APC valid votes cast collapsed almost by 50% as compared to what they secured in the 2012 local council elections in the same ward, the SLPP votes have a percentage increase of almost 35% as compared to the percentage of the valid vote cast in 2012. Finally, it would be too simplistic to think that following such by-election results, the SLPP party does not have great challenges ahead. In 2014 there will be a national population and housing census which will be crucial in terms of constituencies in the 2017/2018 elections. Will the SLPP effectively monitor the census process? There is the on-going constitutional review process which is also very crucial to see whether it can be manipulated for political purposes, is the SLPP effectively monitoring the process? There is the on-going cost of living crisis for ordinary people, is the SLPP doing enough to echo the cries of ordinary people? Are the SLPP MPs properly capacitated and supported by the party to scrutinise government policies and initiatives in parliament? And is the national executive robustly engaging the media to hold the government to account on national issues and update the press on its activities? Yes, we should be happy with the by-election results and it is a step in the right direction. Just imagine what our APC friends would have said if the SLPP had lost the election in Kailahun and performed badly in Tonkolili.